Ralph Waldo Emerson (1803-1882) never considered himself a political thinker. And yet he rose to prominence during one of the most turbulent times in U.S. history. As a result, political questions grew in importance for him, becoming by the 1860s one of his chief concerns as a public intellectual. 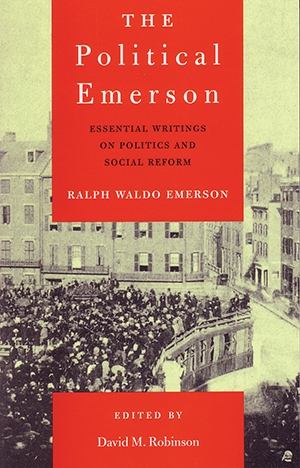 In The Political Emerson, David M. Robinson has brought together for the first time the best of Emerson’s numerous writings on politics and social reform.